It is unusual to see adults of this species at flowers; © James Adams, 2001. 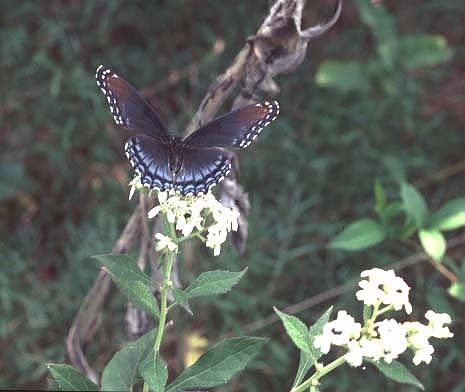 Left -- upperside; Right -- underside; the red spotting gives this species its common name, Red-Spotted Purple (though "purple" is a bit of a stretch). The right individual has atypically extensive red banding as well. 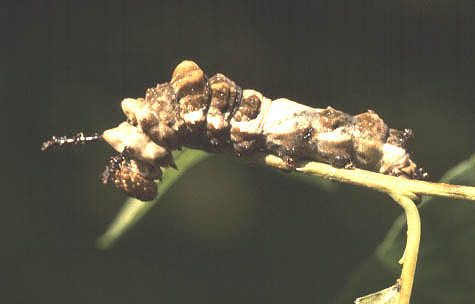 Last instar larva; © James Adams, 2001.